Hands up, you can’t decide all by yourself what assets you have and what assets you don’t in a Chapter 7 bankruptcy! It’s the trustee who will understand how potent is your bankruptcy estate and what are the non exempt properties you have! 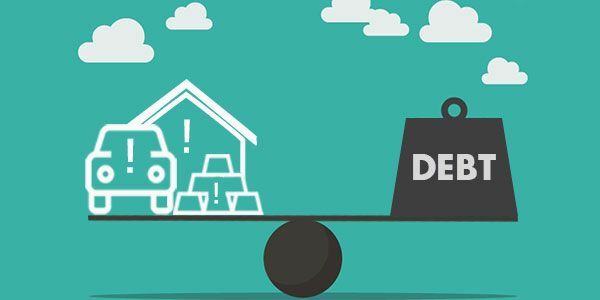 Here we are to help you understand what happens in a bankruptcy case if the debtor has no property or asset to liquidate and pay off the creditors their due debts! What does a Chapter 7 bankruptcy look like? In the general sense, a Chapter 7 bankruptcy is simple; it helps you to discharge your debts by liquidating your assets! Click here to know more about bankruptcy. Once you file a chapter 7, a trustee will be appointed by the court to calculate the assets you have and decide how much of your assets can be liquidated to compensate your creditors. A bankruptcy estate is then created, that will consist all of your assets. Remember the estate will be monitored by the trustee and is a separate taxable entity. However once the estate is created, the transfer of assets from you to the estate and the vice versa, is not taxable. But the transfer should not result in any type of gain or loss, or an acceleration to your income, as proposed by the IRS. Your estate, at the end of the evaluation, will only be made up of nonexempt assets. An exemption is the major part of bankruptcy Chapter 7. Depending on your state’s rules and regulations, you will have to see what properties you can keep, what assets you can exempt from liquidation, how much built-n equities you can save, and the limitations to your exemptions. What is Chapter 7 no asset bankruptcy? Unlike a normal Chapter 7 bankruptcy, a no asset case will result in creation of a bankruptcy estate that has no or very little nonexempt assets. The trustee will decide whether or not you have any non-exempt assets, and will carry your case forward, based on the decisions! Once a no asset bankruptcy is declared, your creditors will practically get nothing, and all of your debts will be discharged. Therefore, you got to be very clever in showing that you have no assets for liquidation, to the court! Still, most of the Chapter 7 cases in our country are filed as no asset bankruptcy. Probably, that’s why no creditor wants you to file bankruptcy. *State laws are still applicable, so consult your lawyer. You get to keep your retirement accounts, only that IRAs are limited to an exemption of $1,283,025. Education accounts, college savings are totally exempted, with no limitations. You will get an exemption if you are a crime victim. You get to keep upto $23,675 in total built in equity. A total exemption upto $3,775 in motor vehicles. Not per car, but total. An exemption upto $2,375 on tools of trade. Say if someone’s a carpenter, smith, etc. Social Security, unemployment, veterans benefit, and disability are exempt. There’s also an exemption of upto $12,625 on household goods. There are many more exemptions, that are not possible to cover in a post of this length. Have a detailed talk with your lawyer to understand about your possible exemptions, and file a bankruptcy case accordingly. What is an abandoned property? Sometimes, a property becomes disputed in a bankruptcy estate, where the value of the property might not be enough to pay off debts, or is considered useless by the trustee due to some valid reasons. Such a property is then marked as abandoned and is duly returned to the rightful owner of the property. But that transfer of abandoned property and the property itself is considered non-taxable. Don’t confuse abandoned property with exempt assets. Remember transfer of exempt assets can be taxable, if it results in profit or loss for your finances. On the other hand, abandoned properties are by no means taxable. That’s all I had to say about Chapter 7 no asset bankruptcy case.